Meralco’s power restoration team, composed of 35 linemen and engineers, worked for 12 days to expedite the restoration of power services to the homes of the island’s more than 4,000 customers and other vital establishments. 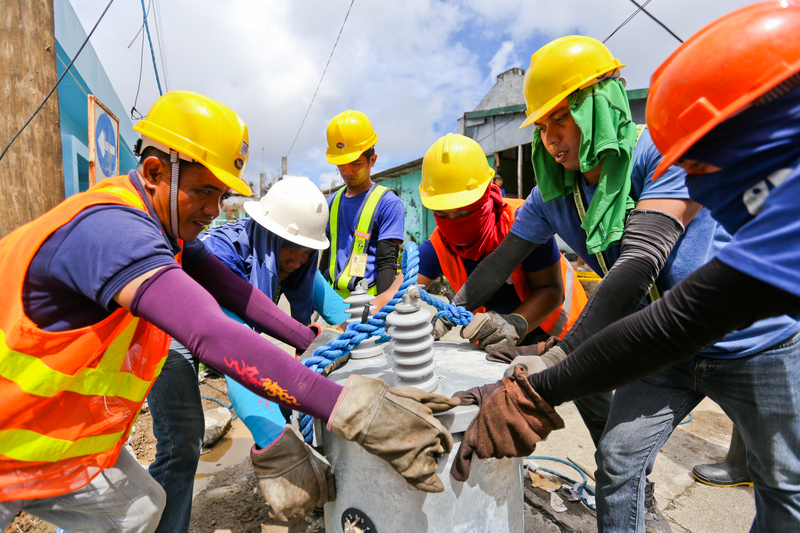 Despite the challenges of transporting equipment to the island due to unpredictable weather, the Meralco team managed to erect a total of 79 poles, worked on 640 wire-related activities and replaced 24 transformers with only the basic tools at their disposal. The team rendered a total of 4,718 manpower hours despite the threat of another typhoon, named Helen, looming in the horizon. 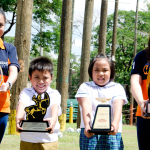 “Power restoration has always been at the core of Meralco’s corporate social responsibility efforts. 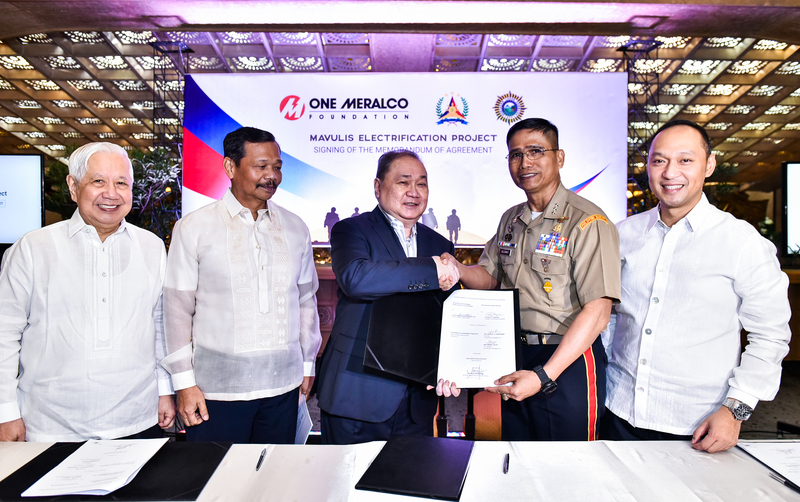 Through the One Meralco Foundation, the company and its employees, are able to provide assistance to other electric companies and cooperatives in areas affected by natural calamities,” said Jeffrey O. Tarayao, President of One Meralco Foundation. “Prior to Batanes, we’ve helped our partners in Davao Oriental (Typhoon Pablo, 2012); North and Central Luzon (Typhoon Santi, 2013); Western and Eastern Visayas (Typhoon Yolanda, 2013); Albay (Typhoon Glenda, 2014); and Sorsogon and Oriental Mindoro (Typhoon Nona, 2015),” he added. Unlike the other provinces, Batanes was especially tough since the usually rough seas in the area and the limited capacity of aircraft that fly to its capital, Basco, restrict the kind of equipment that the team could bring along. In his report to Meralco executives, Engr. 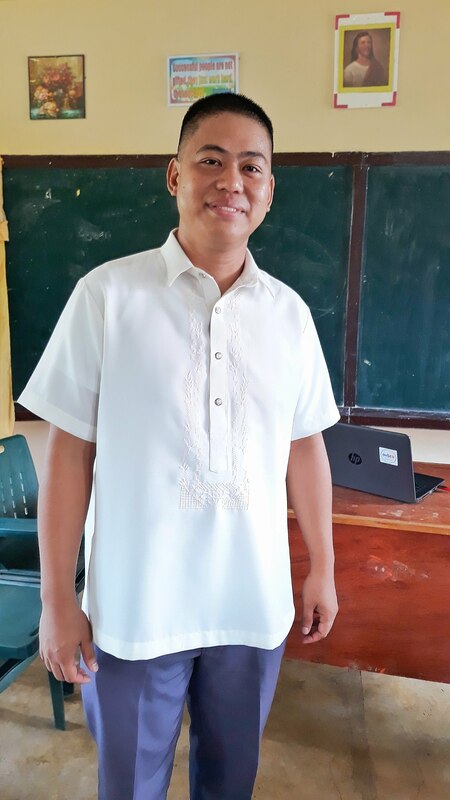 Antonio Abuel, Jr., the newly appointed head of the company’s Organization Safety and Resiliency Office who led the restoration project and made the initial assessment of the power situation in the area, said that the volunteers had to do their work manually since they did not have mechanized equipment. “In the Meralco franchise area, we use basket trucks and cranes to lift very heavy electric poles and transformers but in Batanes we did not have such equipment, and so we had to improvise. We used tethers and sheer human force,” he shared. Abuel, along with representatives from One Meralco Foundation, flew to Batan Island a few days after the typhoon to assess how much work needed to be done. “During the night, there was almost total darkness. The only lights we saw were coming from the ships,” he recalled. The first batch, which consisted of 12 volunteers, arrived on September 26. An augmentation of 23 personnel arrived two days later. They started work in BATANELCO’s Feeder 1 area covering Basco, which comprises 70% of the total number of electricity consumers in the island, and later moved on to help restore power in three other municipalities. In a text message to Abuel, BATANELCO General Manager Victoria Mata expressed her gratitude for the team. “Maraming salamat po sa lahat, lalo na sa malasakit ninyo sa amin. Marami kayong napasaya na consumer because before the team left, 78% na po kaming energized sa Basco town proper. May God continue to bless you and the MERALCO team. More power and God bless,” she said. Meralco donated some of the equipment its team had used to BATANELCO. These include ladders, floodlights, generator sets and powersaws. “Extending service beyond the call of duty has been part of our culture in Meralco. As head of our network operations, I can attest to my colleagues’ indefatigable desire to volunteer for disaster response efforts such as our power restoration program. Calling for volunteers has never been a problem for us. In fact, most of the time, they offer before we ask,” said Ronnie L. Aperocho, Meralco’s Networks Head. “It makes me proud to lead a group of passionate employees who are not only hardworking but also have the heart to serve,” he added. Apart from power restoration, One Meralco Foundation also donated three generator sets to provide temporary power to residents of nearby Itbayat Island. The Foundation also distributed solar powered lamps to victims through TV5’s Alagang Kapatid Foundation, Inc.